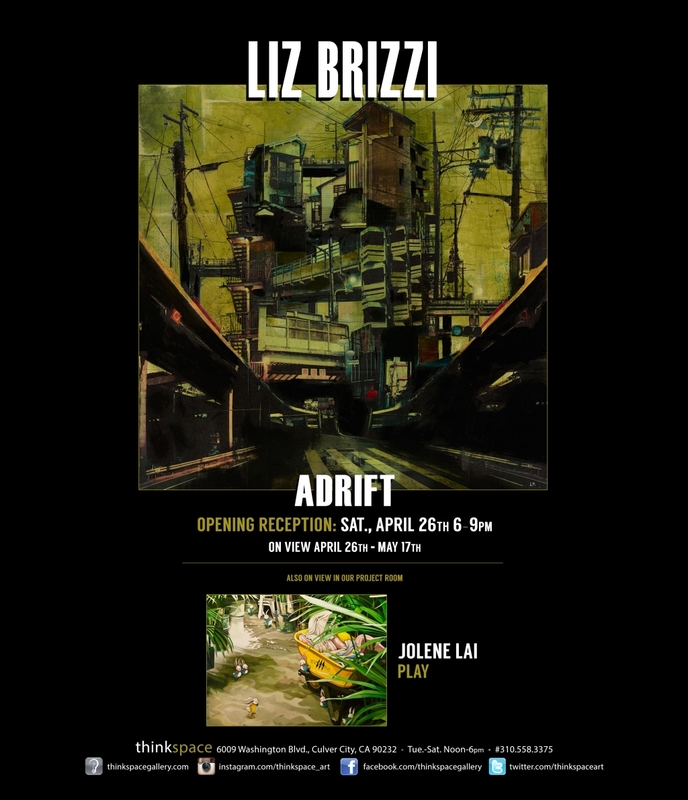 Thinkspace (Los Angeles) is pleased to present Adrift, the gallery’s first solo exhibition of new works by Los Angeles based, French born, artist Liz Brizzi. 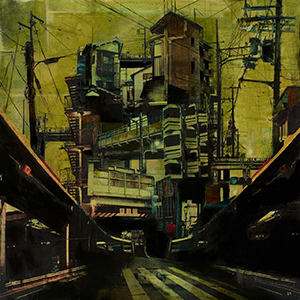 Her mixed media collage paintings combine photography, paper and acrylic washes of paint on board to build complex and layered graphic works that capture the architectural specters of the urban core. Originally looking to the forgotten and often bereft and marginalized corners of Los Angeles, and traveling to its outskirts and un-gentrified peripheries, Brizzi sought to excavate the beauty of its imperfect embrasures. In Adrift, the artist extends this interest through travel and philosophy, delivering new works based on imagery from her recent travels to Japan and South East Asia. As the title of the exhibition aptly suggests, Brizzi is an artist adrift and in search of the mutable lives of structures. Through her travels, Brizzi has sought to capture the cultural specificity of her subjects, looking to the ways in which architecture speaks of its city’s past and present. A central component of her practice involves the undertaking of urban “safaris” on which she seeks and arrests the absentia of industrial relics and buildings through photography. Her work can be defined as architectural portraiture, seeking the evasive identities of these receding and often forgotten edifices. Whether in a decrepit neon sign, a vacant alley way or a gutted building, Brizzi excavates the lives of partial vestiges. In the absence of human subjects, the works focus on these architectures and environments as living entities subject to the ravages of time and neglect.